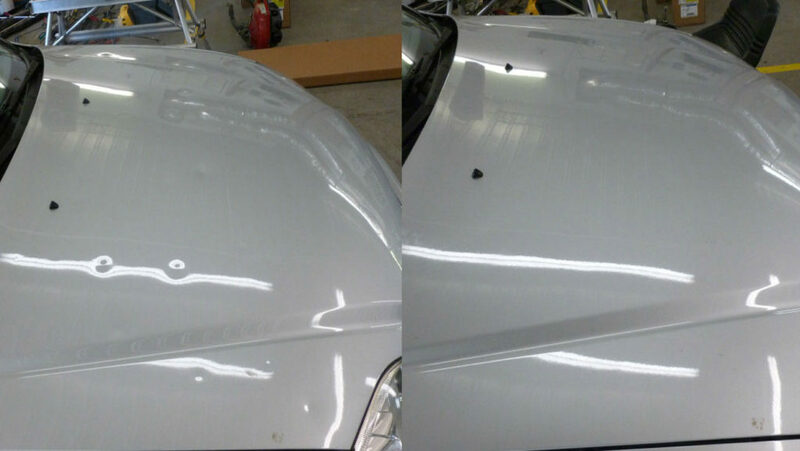 Many dents and dings, even some rather large ones, can be fixed using Paintless Dent Removal (PDR). It requires no sanding, fillers, and painting and can cost about one-half the price of regular dent repair. Working with craftsmanship and attention to detail, our technicians can remove most minor auto body damage without the use of sanding and body fillers, maintaining your vehicle’s original finish. Paintless Dent Removal is an art form of metal shaping and shrinking. We have some of today’s finest craftsmen in the technique of metal shaping and our technicians can remove many types of minor dent damage including hail or door dings. Faster than conventional repairs, PDR does not use traditional auto body methods like sanding, body fillers, or painting. Will Paintless Dent Removal Work For Me? It will work for most vehicles but to make sure it will work for you, call us to get an estimate of the repair costs and the probability. Visit Bowie Auto Clinic for high quality and affordable auto repairs. © 2019 BAC Collision Center.